Here at Walton & Allen estate agents Nottingham we understand that buying a property is about more than just a business transaction; it’s about making your dreams come true. And we want that process to be smooth, enjoyable and exciting – the way it’s meant to be. 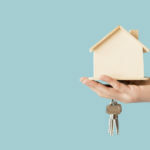 Buying a property is a huge investment, one that is often mired with the complex financial and legal processes involved. With Walton&Allen estate agents you’ll only ever get straightforward, friendly advice. 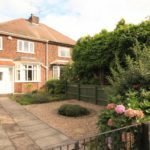 Walton & Allen are the first choice estate agents in Nottingham for many property sellers which means we have access to an excellent range of homes to suit everyone, from single bed apartments, to large family homes. Because our dedicated sales team has decades of experience you can rely on, to help navigate the financial and legal pitfalls and make buying your home a pleasure. 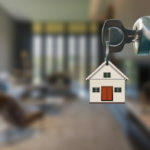 To aid in making things as easy as possible for you, we offer most property buying related services all under one roof. This includes mortgage advice appointments, conveyancing or energy switching quotes and constant updates throughout the whole process. Mortgage advice is key to securing a property you can afford. If you want to book in an appointment to see how much you can borrow then visit our mortgage advisor page. You may also be able to save some money on your mortgage deal. Take a look at our properties available to buy and contact a member of our estate agent team to arrange a viewing. You can call us on 0115 924 3304. Alternatively, call into our Nottingham branch today.